This was the first bird that I prepared. Robins are thrushes (family Turdidae). All Turdids have slender bills adapted for eating insects, berries, worms, etc. 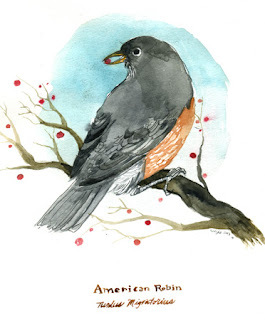 Robins may be seen roving in large groups in their wintering areas, foraging for food. 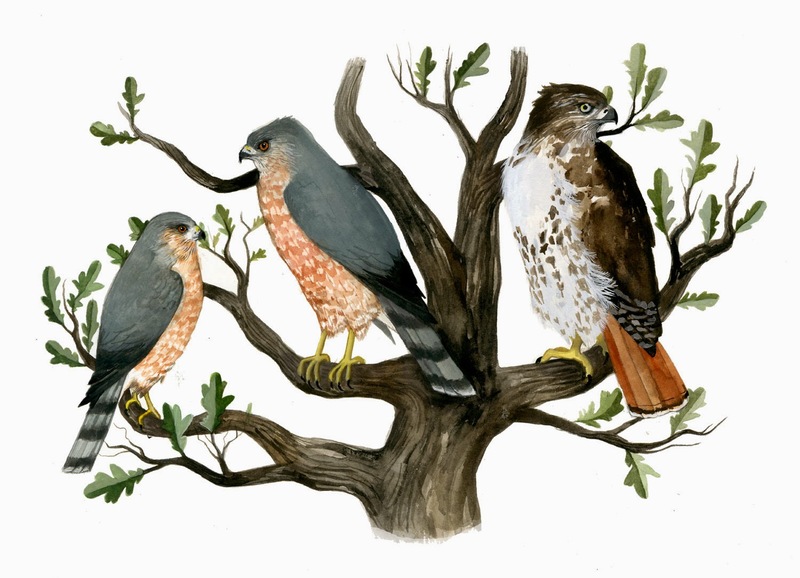 Once, in the heart of a Chicago winter, I saw a large flock descend upon a tree loaded with red berries. It was bright rust brown breasts and red berries against a backdrop of snow. really like the clean messiness of the overlapping feathers here...and the berries just pull it all together. I am really glad you got in with the field museum guys, it changed my life. if you get a chance, try and get a hold of peggy macnamara. i am sure she is still running around the museum somewhere. all the watercolors near the large mammal displays are hers.